DUBAI, 28th October, 2018 (WAM) -- H.H. 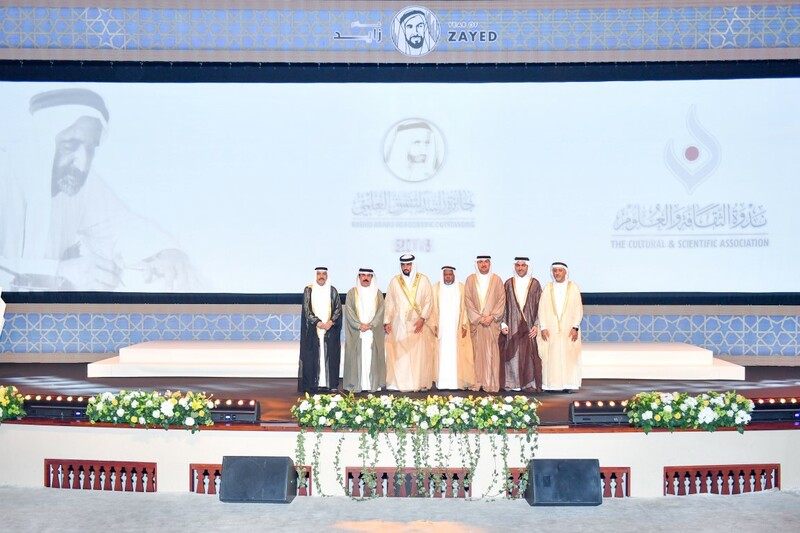 Sheikh Ahmed bin Mohammed bin Rashid Al Maktoum, Chairman of the Mohammed bin Rashid Al Maktoum Knowledge Foundation, today attended the "Rashid Award for Scientific Excellence 2018" ceremony, which was organised by the Cultural and Scientific Association, at its headquarters in Dubai. The ceremony, which honoured professors and PhD degree holders, began with the national anthem. 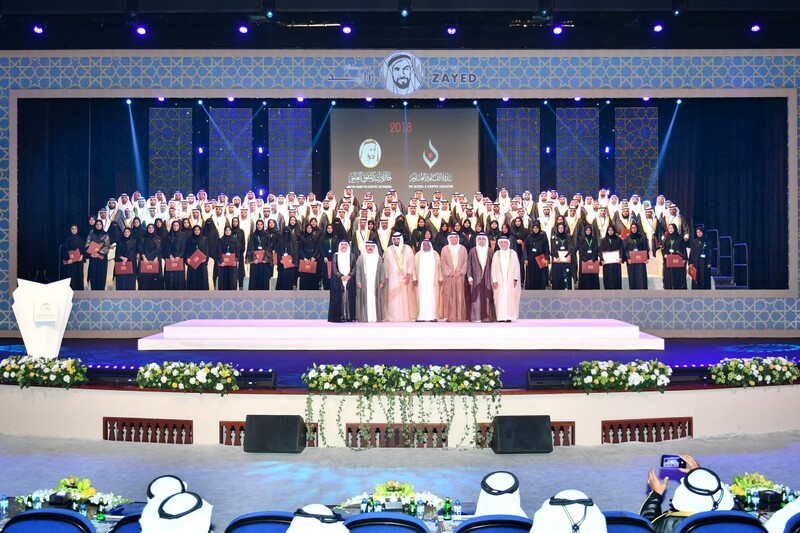 In his speech, Ali Obaid Al Hamli, Vice Chairman of the Board of Directors of Association, said that the achievements of successive generations of graduates from all qualifications and specialisations are the result of the work of the wise leadership and its belief that science is the only foundation of building nations. Al Hamli added that the award celebrated the anniversary of the establishment of UAE University, UAEU, which is the country’s first scientific institution, while affirming that that the wise leadership has worked constantly to create the character of the UAE people, who are armed with science and knowledge and are the ambassadors of peace in a world affected by wars, disasters and crises. 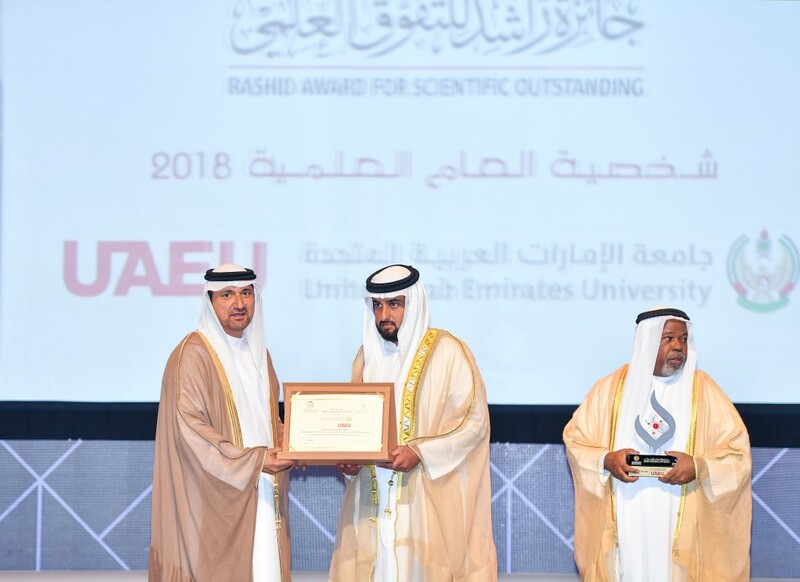 Sheikh Ahmed bin Mohammed honoured three professors, 99 male PhD holders and 45 female PhD holders, as well as the 'Scientific Figure of the Year,' which was won by UAEU for encouraging scientific research and supporting the country’s cultural development. The ceremony was also attended by Bilal Al Budoor, Chairman of the Association, along with board members and several national cultural figures. The award, which was launched in 1988, is a leading recognition that honours UAE nationals with higher education degrees. In 2015, the Association, also created the 'Scientific Figure of the Year' award, to honour Emirati individuals and institutions for supporting science and encouraging scientific research and cultural development.